A romantic escape in an elegant and exclusive environment, with a sea view room and a panoramic balcony. A special time to celebrate with a wine bottle especially offered from the Hotel directly in your room upon arrival. Relax in a chaise lounge with your favourite herbal tea. 60 minute Indian massage for 2, with hot essential oils, respecting the traditional Ayurveda techniques. A fantastic breakfast with a rich buffet on our panoramic terrace on the sea. Unforgettable moments spent together for a walk on the beach or in the old city center. 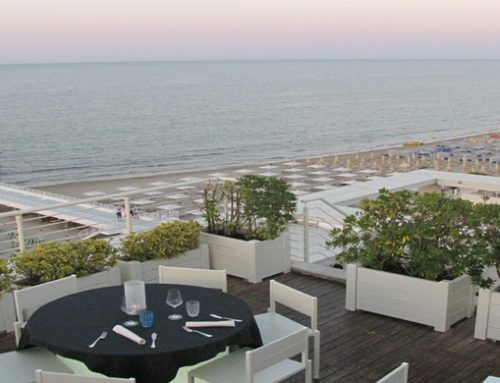 Gourmet lunch in the restaurant “Il Mare in Terrazza”. € 50,00 extra charge if you choose the SUITE, our best room. This offer is valid only for the nights of Friday, Saturday and Sunday, excluding national holidays, starting on the first of October until the last day of May. A 50 % deposit is requested upon confirmation.